Picking up any Android handset that's not a Nexus or a Pixel has long been a risky choice as far as relying on future updates go, and now OnePlus has confirmed that its OnePlus 2 handset won't be getting the bump to Android 7.0 Nougat. The writing has been on the wall for a while now, although OnePlus did initially promise that Nougat would be coming to the 2015 flagship. The news was confirmed by the company directly to Android Authority. "Customer service has been telling customers this for a little while," OnePlus representatives told Android Authority, adding that "we're happy about what we’re doing with software". Android O will be coming to the OnePlus 3 and OnePlus 3T, the company also confirmed. Part of the reason behind OnePlus walking back on promises of a Nougat update seems to be the tumultuous time the firm has been having with its software department in general: the same year the OnePlus 2 launched, ties were severed with Cyanogen, leading to OnePlus developing its own, in-house version of Android. 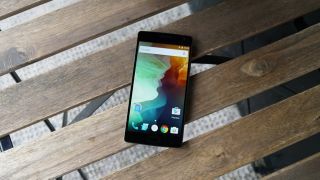 The long-anticipated Nougat update for the OnePlus 2 would appear to be one of the casualties of that break-up, though with OnePlus now firmly committed to its own OxygenOS, the update process for its future flagships should run more smoothly. It's a reminder that you can't always be guaranteed future software updates from the manufacturers using Android, even when they promise certain upgrades are on the way. Google is on the case, and is making it easier than ever for its partners to push out new versions of its mobile OS.